Crafty escapism: Houston Fiber Fest is THIS month! I am going to Houston Fiber Fest later this month. I'm super excited because it's the first time I've EVER been to an event like this. 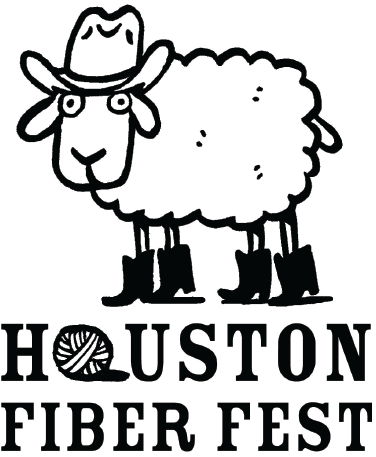 The Fiber Fest is on Friday June 24th and Saturday June 25th around 20 minutes from me at the Berry Center in Cypress. This is the second year of the event and everyone I've spoken to who attended last year told me that it was a total knockout success. Go around ALL the vendors first before starting to buy. The vendor hall is free to enter, there are classes for a fee, sit and stitch, shopping of course with over 40 local vendors, swaps, a talent display..... Gosh! I am hoping to meet a lot of other crafty folk there too, maybe some people I've only met online before. And there is a meet up table in the atrium with a different theme each hour. Marvelous! I'm going to be there for the crochet meet up on Saturday at 3pm for definite so please join me if you're attending! I've also bought a $10 ticket for the Thursday night trunk show and lace project presentation by the incredible lace designer Romi Hill (at a different location). 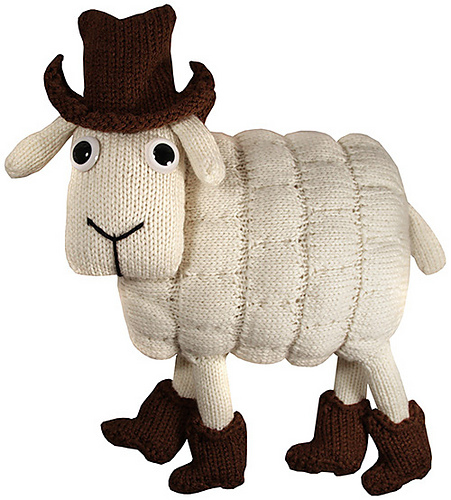 They have a rather cute knitalong too, the mascot of the Fiber Fest Lester the Leicester available as a free pattern on Ravelry. Of course we are in Texas so he wears a cowboy hat and boots! Isn't he just adorable? So head over to the website to read more on the Houston Fiber Fest and there is also a Fiber Fest Ravelry Group with more information. The organizers very kindly provided the images for this post. So thank you! I promise to write all about my first Fiber Fest experience in a future post. I hope to see you there if you're local!! Counting down the days now....... And if you have any advice for me on how to avoid being completely overwhelmed (which I'm sure I will be!) just let me know in the comments below! I'd be counting down the days too! Fiber fests are so much fun. Are you going through the couches for spare change and mad money? Good tip Kathy - I know I'm going to get a bit carried away on the shopping front. I am usually soooo restrained! Only 17 days to go!! Yay! One extra tip for you Tamara. If you see something that make your heart skip a beat, but it there and then if it is one-off or they are low on stock. There is nothing worse than going back for that special item having traversed the rest of the festival and finding that it has gone. Lynne and I will be at Woolfest on that Friday so it would be great to compare notes between two festivals in two different countries happening on the same day. OK Fay If I fall in love with something at first sight I'll buy it straightaway!! Yes I'd LOVE to compare notes on yarn fests on different sides of the pond. Let's get a date sorted.